Preparing a good desk is fundamental for motivating your children to study. 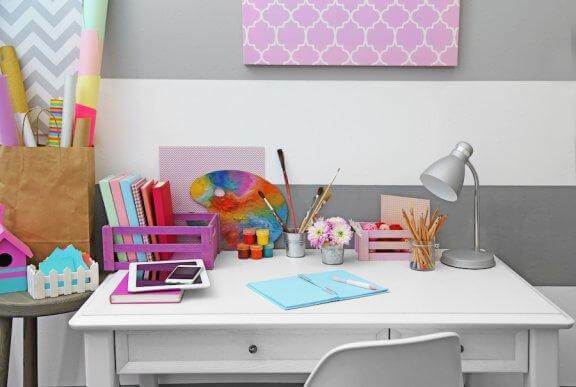 Find out some great ways to make a study desk for your child in this article. 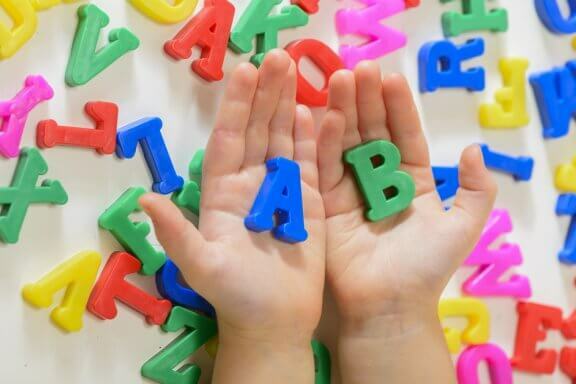 Once children reach pre-school age, most parents face a new challenge: encouraging their children’s study habits. Yes, studying is a habit. Providing a good study desk for your child is a great way to encourage him or her to do schoolwork and learn at home. 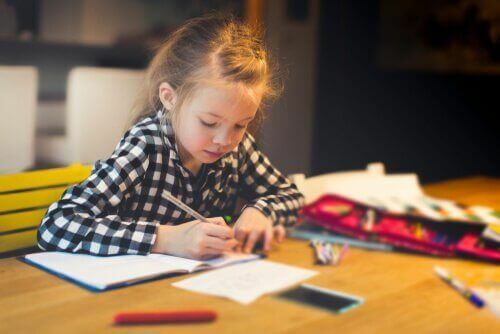 When it comes to good study desks, it’s very important to plan and organize things that children like, always taking into account their age and needs. Also, don’t forget that motivating children through play is a fundamental and important aspect. Prepare and organize a comfortable, pleasant physical space that has all the necessary furniture. 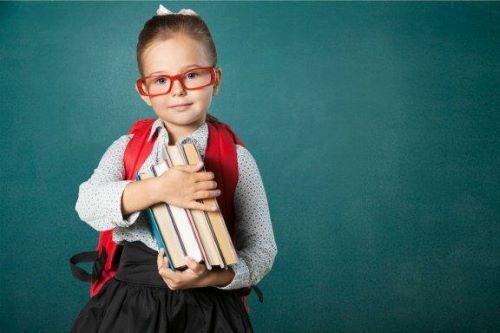 You’ll need a desk, chair, shelf, and items that let kids do their homework without any distractions. This promotes their study habits and guarantees intellectual development. 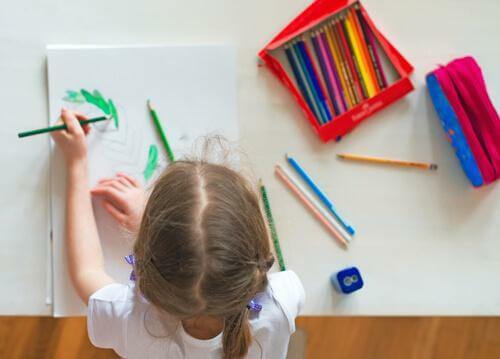 Of course, don’t forget that this space should be organized in a way that’s attractive and interesting for your child. First you need to choose where you’ll place the desk. Most likely it will be in your child’s room. You may use a small table or desk with a chair next to his bed. Whether this space is in his room or another part of the house, it’s important for your child to have easy access to the resources to carry out school activities without distractions. This space should have good lighting and several other components that we’ll show you below. The idea is to learn to organize your space comfortably and, of course, in an appealing way. The desk should have a height that’s suitable for your child. We recommend that it be chest height so that your child can comfortably rest his arms. In addition, the surface of the desk should be smooth and a soft color that the child likes. The desk should be placed so that your child’s view is pleasant, but also helps him concentrate. The central part of the desk should always be clear so that he can spread out books and notebooks. It doesn’t need to be very wide. However, the measurements vary depending on the space and your child’s age. It must have good lighting. If it’s convenient or necessary, you can place a table lamp next to your child. However, if your child is left-handed, the lamp should be on the right side, and vice versa. The chair should be appropriate for your child’s height so he can rest his feet on the ground. In addition, it should be at a 90-degree angle with respect to his hips. On the desk, you can have a stand to prop books on. That way, when your child is reading, he can maintain good posture. If there’s a computer or laptop, it should be in a fixed spot. 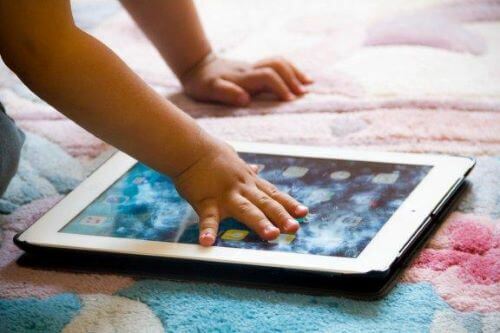 That way, your child can only use it when he needs it for homework, not to play video games or surf the internet. Use organizers and pencil holders on and around the desk. You can even let your child help pick where he wants to have organizers. You can even place puzzles or other learning games on the desk. In addition to looking nice, it’ll help stimulate the learning process.